Stepping in for our regularly scheduled speaker, Jamestown Renaissance Corporation Interim Executive Director Peter Miraglia spoke to us this day. 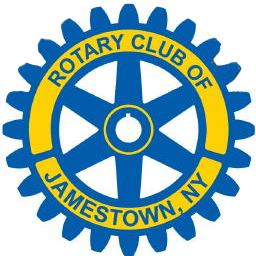 The JRC is a non-profit organization that supports the implementation of downtown, waterfront and neighborhood revitalization strategies in Jamestown. According to the JRC website, Peter was appointed to his position on October 9th. Peter was born in Jamestown and grew up in the local area. He holds a B.S. degree in Criminal Justice from Buffalo State College and completed 30 hours of graduate studies at George Washington University. Peter gained extensive project management and supervisory experience throughout a career that spanned more than 30 years in federal government agencies, including 5 years as an active duty officer in the U.S. Coast Guard. In 2012, Peter moved back to Jamestown with his wife Melissa. He pointed out that he is among many of people who moved away from the area that have been moving back in recent years. Peter made a point to thank those that stayed and kept the city alive, and helped to start creating new things in Jamestown. Peter is very happy that Jamestown has been recognized more and more in recent years, especially with the creation of the National Comedy Center. Many big name comedians have paid Jamestown a visit in recent years, including one of Peter's favorites; Lewis Black. 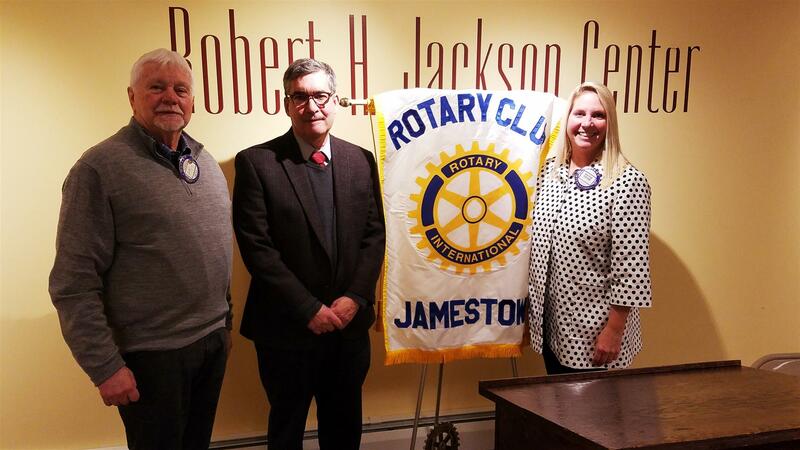 Jamestown has made the best of what it has, Peter said, and downtown businesses and tourist sites have profited because of that and the many collaborations taking place. The Connection, Digitell, and several other companies are also growing. Collaboration is key, and has led to the garnering of multi-million dollar grants. Peter said that other opportunities to grow exist. He also mentioned that Jamestown Business College and Jamestown Community College both need to work on keeping graduates here in the area. The JRC was established in 2006 to implement the Jamestown Urban Design Plan, offering business incentive programs, and financial help. We thanked Peter for providing us such a great deal of information. Interestingly, Peter revealed that he owns the Chautauqua Music Building downtown, which was the former Nelson's Department Store. When he purchased the building for $1, it was in very rough shape. Since then he has refurbished intensely, and now 3 floors are occupied with businesses. A great success story downtown in and of itself.